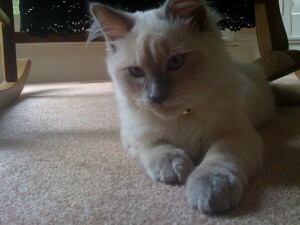 Kitty is captivating the hearts of any cat lover around the world, he is the king. Juliet special traits include a sweet temperament, beautiful coat, generous size and big blue eyes. They are true friends, they play, fight and love each other. They cannot live without each other. They are human companions on a daily basis and they have dog-like personalities. Our purebred Ragdoll kittens are registered with TICA (The International Cat Association) and they have five generation pedigree. If you are seeking for really really beautiful, fun loving friend, not just a pet, a real baby, you are in the right place. 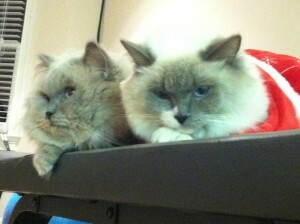 We carry top of the line, pure breed ragdoll kittens and you can just say yourself as you see them. 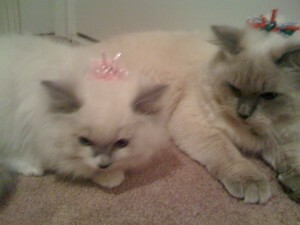 There is just one queen and one king in my home and they are Princess Juliet Doll and Prince Kitty Doll. They are TICA registered and they have 5 generation certified pedigree. They are my true friends and never did and never will let me down. How to get one of our cats? You can check our website from time to time, or check our advertisements at ajcexchange and ebayclassified , or sign up into our website and fill out the presale form and we inform you prior ahead of time about our next litter arrival. 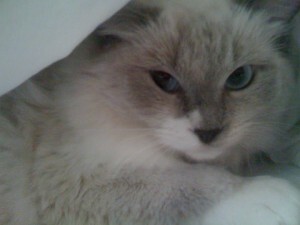 Ragdoll is a breed of cat with blue eyes and colorpoint coat. Ann Baker developed this breed originally on 1960s, from a persian female cat and Birman male cats, one of them had the Siamese point coloration. Ragdolls come in six different colors: seal, chocolate, flame, blue, lilac and cream. When they born they are all white. After 8 to 12 weeks you can see their full color and coat. They have three different patterns: pointed(blue darken points: nose, ears, tail and paws), bicolor (white legs with V on the face), mitted (white paws) . 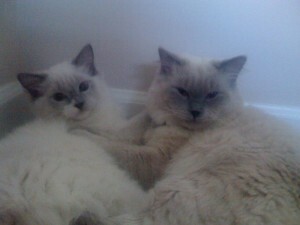 If you are not interested in buying any of our kittens, and just a cat lover and like to post into our blog please do so or if you like to get some information related to the ragdoll also, here is a good place to spend some time. And don't forget to post your own ad and get the benefit of being in market for free. In short, Welcome to CMRAGDOLL and enjoy!! !